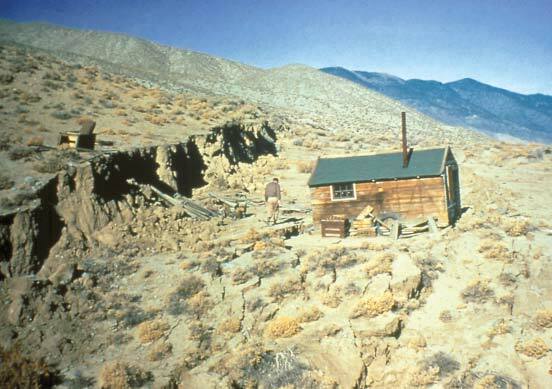 Ground-surface displacement caused by surface fault rupture in the 1954 magnitude 6.8 Dixie Valley, Nevada, earthquake. Utah has over 200 Quaternary faults capable of causing surface faulting in earthquakes of magnitude 6.0-6.5 and larger. 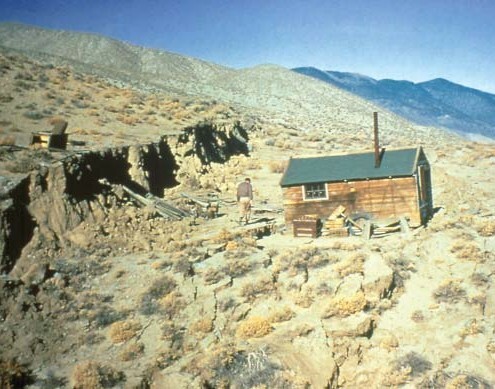 Most of these faults are normal faults in which fault displacement at the surface is primarily vertical with one side dropping down relative to the other. Vertical ground-surface displacements of 6 feet or more may occur in a magnitude 7 earthquake. 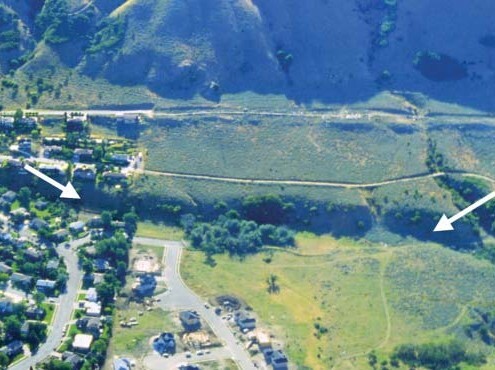 Because such surface faulting typically recurs along pre-existing faults, repeated faulting has created fault scarps in Utah tens to hundreds of feet high. 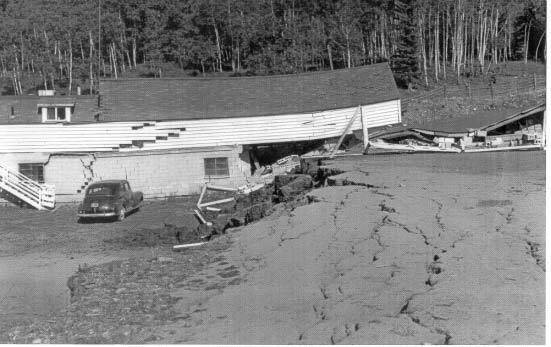 If a normal fault were to break the ground surface through the foundation of a building, significant structural damage is likely and collapse is possible, causing injuries and perhaps death. The most common land-use practice to reduce the risk from surface faulting is to avoid placing buildings directly on faults. Therefore, site-specific investigations are needed to accurately locate faults, determine their level of activity and rupture characteristics, and establish appropriate building setbacks prior to development. 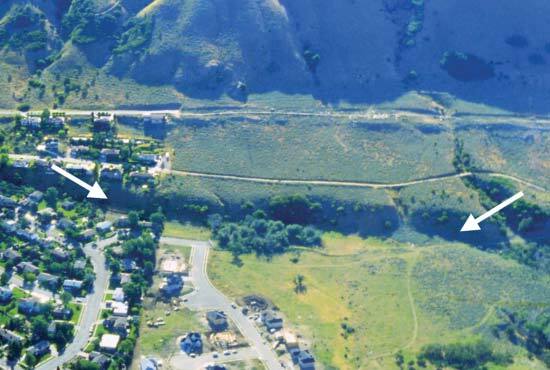 The Utah Geological Survey (UGS) recently published new Guidelines for Evaluating Surface-Fault-Rupture Hazards in Utah (UGS Miscellaneous Publication 03-6), replacing the 1987 guidelines (UGS Miscellaneous Publication N). The guidelines recommend appropriate surface-fault-rupture hazard-investigation techniques and report content to ensure that adequate studies are performed to aid in landuse regulation and to facilitate risk reduction. 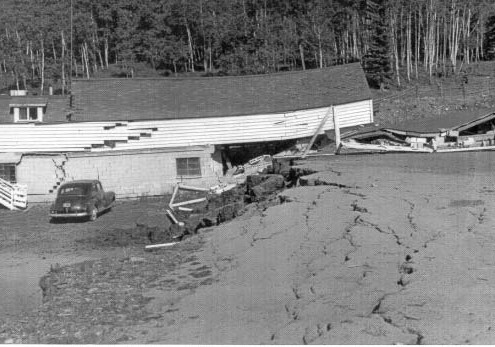 Surface-fault-rupture hazard studies use the characteristics of past surface faulting at a site as a scientific basis for reducing the potential for damage and injury from future, presumably similar, surface faulting. A site-specific surface- fault-rupture hazard evaluation typically includes literature review, aerial photograph analysis, and field investigation, usually involving surficial geologic mapping and trenching to determine the location, age, amount of displacement, and dip of faults. Setbacks are then determined based on these factors, structure footing depths, and the criticality (relative importance and risk) of the structure. Risk-reduction measures in addition to setbacks include foundation reinforcement and disclosure.